Moisturising skin care for all skin types, especially hyper-sensitive, allergic, or irritated skin. 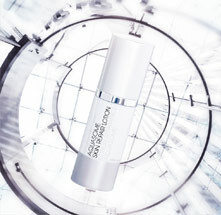 Intensive regulating facial care concentrate for oily and blemished skin. Reactivating facial care for all skin types, especially for skin suffering from premature ageing, sagging, or allergies.